Errol: Ooooh! Look! NaNoToon’s Facebook is almost to 700! Huzzah! I hope you guys are doing well! Hang in there! Two more days! This entry was posted in 2013 and tagged dave, jen, rob, victoria. Bookmark the permalink. AND NOW SOON ONE DAY! Haha…, time for give up? I WON!!! I WON!!! I WON!!! 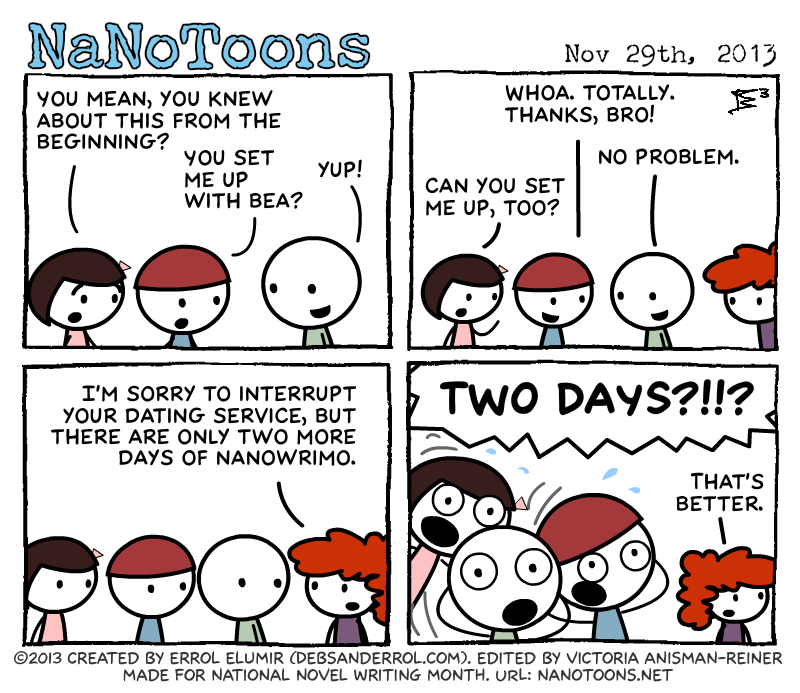 I just won nanowrimo! 😀 And I just purchased a winner shirt. I am happy! Hopefully Rob will win, too!